Our Sailing School in Thailand, just 2 hours southeast of Bangkok, offers a great mix of tropical islands, busy shipping lanes, a world-class marina and lovely warm weather; it's just a perfect place to learn to sail! 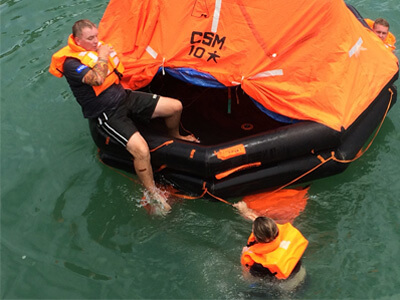 Established in 2004, Island Spirit Thailand is Asia’s first accredited International Yacht Training® facility and remains the most experienced Sailing School in Thailand. Island Spirit has run courses every month for the past 13 years and have former students sailing, cruising and chartering yachts all over the world. International Yacht Training, Inc. is the world’s leading provider of yacht training services, offering IYT courses and certificates to students which are recognised by governments and charter companies around the globe. 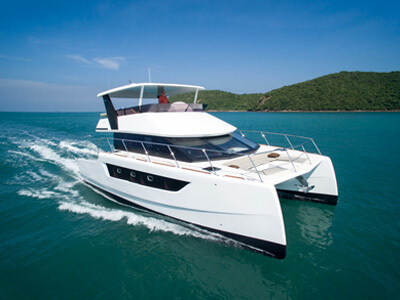 Island Spirit Thailand offers sailing courses for those new to sailing or power boating through to certification required by those that would like to make yachting their career. In addition to these certified courses we offer in-house courses designed to help you build the knowledge and experience that you need to be confident in your ability to be in charge of a yacht out on the ocean. From our location in the Gulf of Thailand, 2 hours drive from Bangkok’s main airport, just south of Pattaya at Ocean Marina Yacht Club in Jomthien, we gain access to the lower part of the Bangkok Bite. 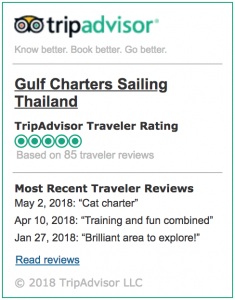 This cruising ground offers everything a Sailing School in Thailand could possibly hope for; an international standard marina, Thailand’s largest International shipping port with Traffic Separation Lanes for ships, Thailand’s largest Naval base and a generous scattering of tropical islands. Such diversity allows our sailing school students to get first hand experience of some the more serious aspects of yacht navigation and combine it with a little bit of typical Thai tropical island beauty and hospitality. A sailing school can have it all; perfect yachts, nice cruising grounds and a super-cool website, but when it comes down to it its all about the Instructors…. and we know that. The Sailing school is just part of what Island Spirit Thailand does, we also operate a Charter Fleet and represent major brand yachts through our yacht brokerage along with a yacht delivery service throughout Asia, so there is always plenty to do and it is because of this that Island Spirit is able to attract and retain the most experienced of Instructors. Our instructors are not just doing the same training courses week in week out, when they’re not teaching they’re on charter or delivering yachts which leaves their love and passion for being out on the ocean in tact and keen to pass on their knowledge and experience and of course the odd salty-sea-dog story or two. Although the exhilaration that comes with rail-down sailing on a powered up keelboat will never be replaced, we are today, without doubt, in the age of the Catamaran. 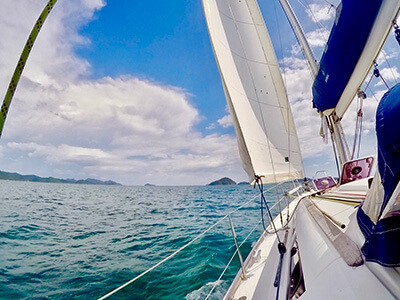 Island Spirit Thailand offers its sailing school students the opportunity to experience both Keelboat sailing and Catamaran sailing throughout the course of the Zero to Hero program. Island Spirit Thailand opened its sailing school in 2004 and have been running a sailing school every month since; with an alumni of over 2500 people we’re proud of our contribution to the sailing community. With such a large Alumni of active sailors Island Spirit Thailand is able to offer many opportunities to students to get out on the water once they finish their training; from ocean crossings to fun weekend flotilla’s. International Yacht Training Worldwide operates more yachting courses with more Government approvals through more sailing schools, in more countries and in more languages than any other boating or sailing organization in the world. To date, IYT Worldwide is recognized by 25 different Governments worldwide for commercial use including the British Maritime and Coastguard Agency (MCA). 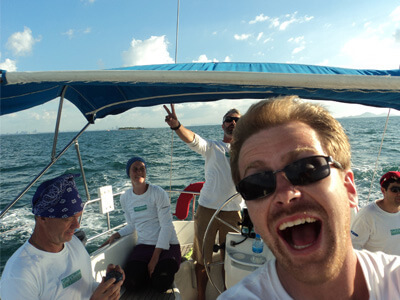 This is probably the best, yet least expected part of it all; for most of our sailing school students it’s been a long time since they’ve attended a school and they’re surprised at just how rewarding and how much fun learning something new is, of course being in the tropics and on a yacht helps. The other surprising thing is how well a group of complete strangers gel and get on, clearly there is common ground in that all the students attending started out with the desire and drive to learn how to sail and they chose to do it in Thailand and thankfully they chose Island Spirit, so there’s a lot in common from the onset and many people find that they make lasting relationships and with our Alumni program to get people out sailing, we aim to foster that. We know its always an uncomfortable feeling; you’ve filled out this form, you’ve clicked send & then you’re wondering; will anyone look at it? Does it sit in some info@ mail box that someone looks at every now and then? Rest assured we respond! and we appreciate your time and effort to send a question.